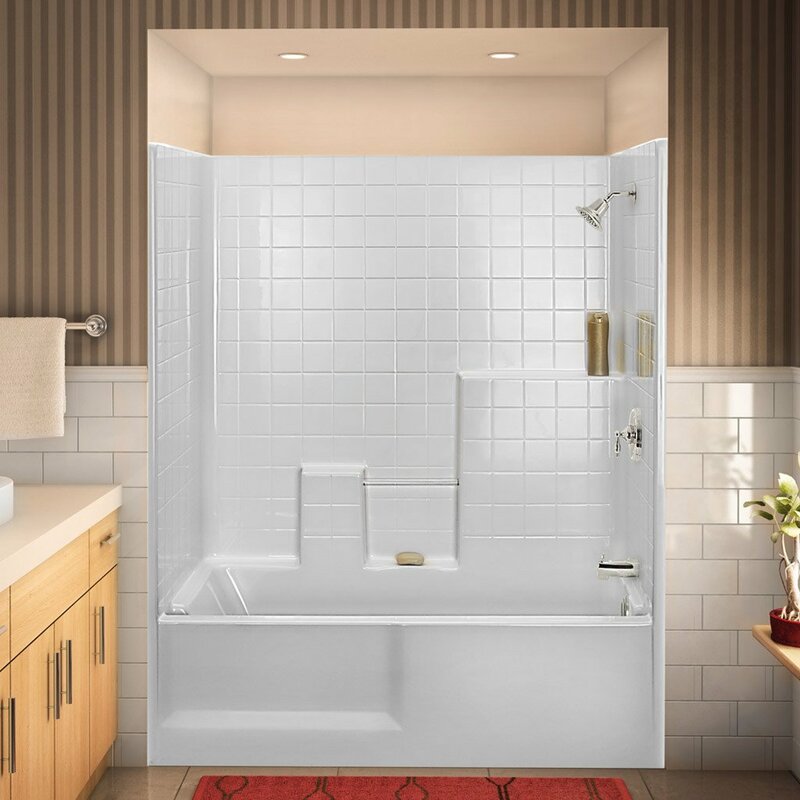 Indulge yourself with our luxurious all-in-one tub/shower combos. These stylish designs offer rich tile-like textures, provide diverse functionality and add rich beauty to bathroom environments. Available in a variety of different shapes, sizes and multiple features. Tub & Shower Combo 102"x42"x84" Rectangular w/ Mosaic Tile and seat. SOAP DISH 7" X 7"
Tub Shower 60"x30"x73 1/2" w/Smooth walls. Above floor plumbing.